Many years back I heard of a book titled… The Monk who sold Ferrari… I never read the book but liked the title. The title projected to mind a picture of a rich person who wants to become a Monk and therefore selling off his luxurious items like Ferrari…This book was a work of fiction…an imagination. Today we have Baba Ramdev amongst us, who is the main inspiration behind one of the fastest growing business brands in India. Baba Ramdev is no fiction. He is a real life Monk. It is said that he learnt Hath Yoga (Yoga related to Physical Postures) in his youth and later started training others so that they can stay healthy without much reliance on chemical medicines. Baba Ramdev is not the first Hath Yoga teacher in India…there have been many…very serious looking strict people…but Baba Ramdev is differnt…he talks in a very simple straight forward way and many of his energetic yoga exercises can make you laugh…This monk has established a business that is valued around $2 Billion USD as of today…Baba Ramdev has changed the way monks are perceived in India. He has considerable influence in Indian politics. The character Siddharth from Herman Hesse’s novel gives up ascetic life, turns to material life and becomes a successful businessman. 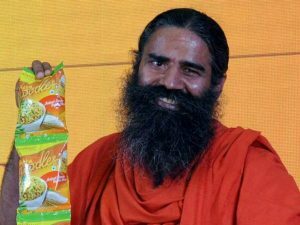 Baba Ramdev is a living example of that…the difference is that he is still a monk who is creating a revolution in FMCG industry. Baba Ramdev is a very good example of what a Monk can acheive when he enters the field of commerce, economics and politics.